In 1949 two of the most famous women in Britain met in a fashionable Mayfair beauty salon. One was the film star Anna Neagle and the other was the wartime heroine Odette. Under the gentle hands of their young beautician they were to reveal the explosive secrets that neither the press nor the Gestapo ever discovered. Based on a true account of their meetings in Mayfair during the filming of the movie “Odette”, the star of the film and the subject of the film formed a very special and lasting friendship. Brought to the stage by the team that created Wallis – a certain person in 2016. Jessica is half French and after studying at Drama Studio London she moved to Paris where she co-ran bilingual theatre company The Anglo-French Theatre Project. 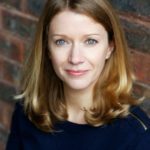 Now based in London, she has worked in theatre, film and television on both sides of the Channel. This year she has collaborated with Seven Sisters Groups and Theatre Royal Northampton on The Twelfth Player, a multimedia experience at Northampton Football Club, appeared in Emmerdale and Lucky Man on Sky. Other theatre credits include Festen at The Space, Dark Matter at the Edinburgh Fringe, Romeo and Juliet in France. Film work includes Love in the Post, an exploration of Derrida’s seminal work The Postcard, and Arsène Lupin. TV includes BBC cold-war drama The Game, Holby City, and in France, Delphine in Le Bureau (French version of The Office) and Plus Belle La Vie, France’s hit soap. 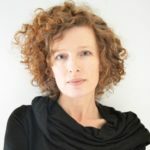 Jessica has also played in numerous short films and directed her first theatre project, extracts of French play L’Hiver sous la Table at the Cockpit Theatre. Red trained in performance, modern languages, literature and theatre at London University. Recent acting credits have included Felicity The Ealing Inheritance , Alice, How many miles to Babylon? 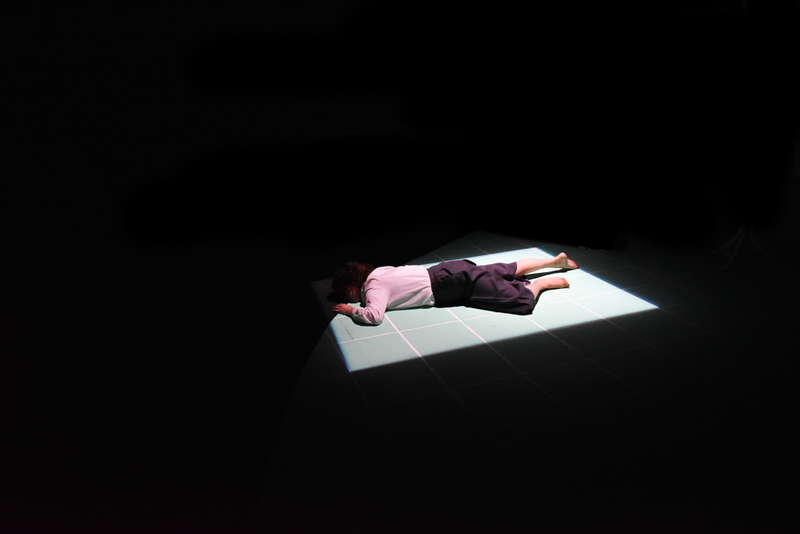 And Brighton Festival’s 2016 commission and subsequent tour of Operation Black Antler an immersive theatre production with Hydrocracker and Blast Theory. Other roles have included Susanna (The Herbal Bed) Myra (Hay Fever) and Kate(Old Times). Recent film roles have included Dr Marion Hill in Not my Wife which won Best Comedy Award at London’s Limelight film festival. She is a trained classical singer studying Bel canto under Adrienne Johns. Red made her operatic debut in 1995 as Belinda in Dido and Aeneas with Voices Theatre Company at St. James’ Piccadilly to mark Purcell’s Tercentenary. 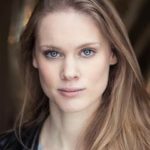 Performances since then have included soloist at Brighton’s Theatre Royal and London’s Barbican, understudying the lead role of Mireille with New Sussex Opera and playing Roz in In and Out of Love and Cecile in Bouffe for RedBlonde Productions. 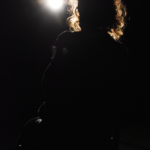 Charlotte trained on the Actor Musicianship course at Rose Bruford College. Most recently Charlotte performed at The Hen and Chickens in a workshop performance of new musical Liberty City. Other theatre credits include: Dreamboats & Petticoats and Dreamboats & Miniskirts (UK Tours), Dog Ends (Tabard Theatre), In Love and Warcraft (Theatre N16), Royal Flush (Spanish Tour), The Merchant of Venice (The Rose and Crown), The Cherry Orchard (The Lord Stanley). Film credits include: Hard Time Bus and Bad Caller (Features) and The Audition, A Family Trial and Triggered (Shorts). 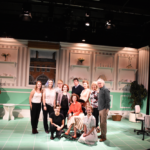 Ovation’s latest production is a triumph of warmth and wit, powered on by three remarkable performances, seamless direction and a beautiful set to boot at Highgate’s Upstairs at The Gatehouse. Treating Odette is based on an extraordinary true story. Anna Neale, Britain’s wartime darling, has been cast to play Odette Churchill, a French woman who left her husband and children in Kensington to spy on the Nazi’s in Vichy France. The two women could not be more different, and Odette is reluctantly thrown into a limelight she didn’t seek. 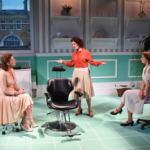 Anna, played by Red Gray, is a woman who seems to have no cares in the world, and gifts Odette, French-English actress Jessica Boyde, with 15 sessions at her favourite beauty parlour in Mayfair. Here she is pampered by Patricia, a young beautician brought to life by Charlotte Peak. 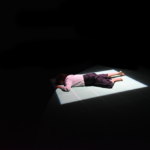 Odette’s story is extraordinary, but the play bravely chooses not to focus on her past experiences of horrific torture, starvation and isolation. 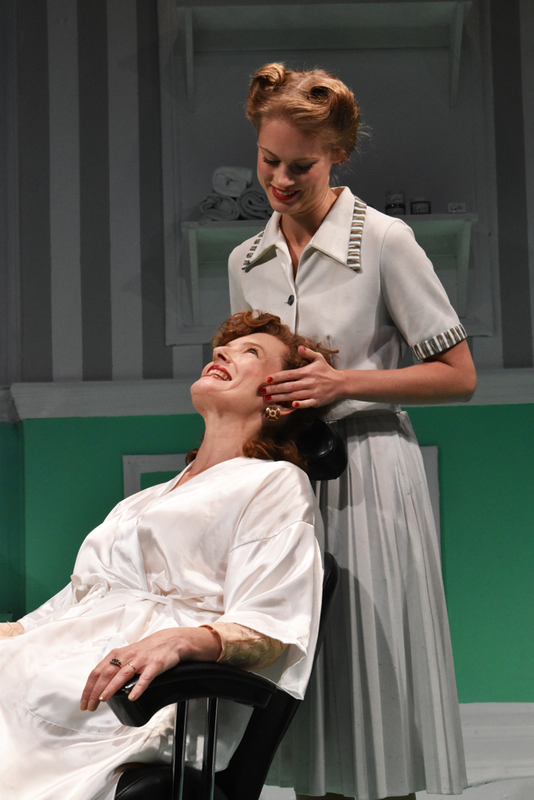 Treating Odette instead keeps the play very much in its own present – that of Cyclax beauty salon in post war London. It subtly reminds us that the war didn’t simply end in 1945. Patricia bemoans life under rationing, and Odette’s skin and feet are ravaged from her trauma, probably forever. Anna cannot cast off the public pressure to represent British morale, and continues to keep calm and carry on long after VE day. The beauty in this play lies in the three performances of its stars. 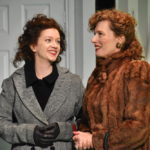 Red Gray begins the play as a self-aware Anna who is constantly acting and keeping up appearances. The slow letting down of her guards around the other two women is very impressive, as her own insecurities and vulnerabilities show in the subtext of the script. Charlotte Peak is radiant as Patricia Law, a beautiful woman inside and out who finds genuine pleasure in treating all of her clients, even if she isn’t quite satisfied with her career choice. 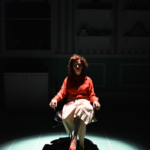 Her natural performance and intimate knowledge of the ins and outs of the set and props deepened the realism the piece – I spent the entire play utterly convinced I was seeing the action in an actual beauty parlour and that Patricia had worked there for years. 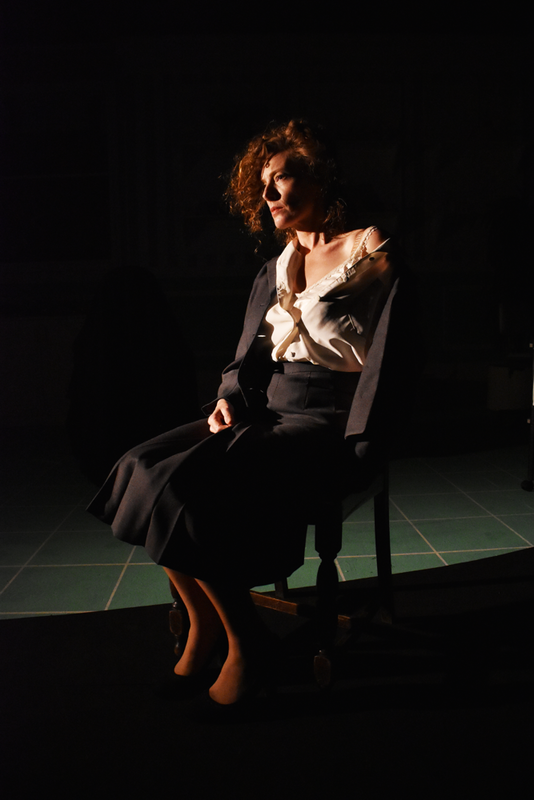 As the courageous and dry-witted Odette, Jessica Boyde was given a dream of a part. Yet her performance even managed to exceed the fantastic material she was given. Her comic timing was pitch perfect, and she never once slipped into melodrama. Even during the brief flashback scenes, every facial expression and movement was entirely real. The production was authentically 1950s. It wasn’t just the fantastic costumes and set, but the manner in which the actresses conducted themselves. 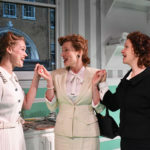 John Plews directs with such realism that the piece didn’t feel like it was directed at all but that the three women were simply interacting on stage. Jennifer Selway’s script is full of painstaking research and dark humour, as well as a clear love for her characters and their bravery in their respective battles. My only criticism is that the piece felt a little long, and that the opening scene at Elstree felt out of place and ruined the neatness of the otherwise contained storyline. 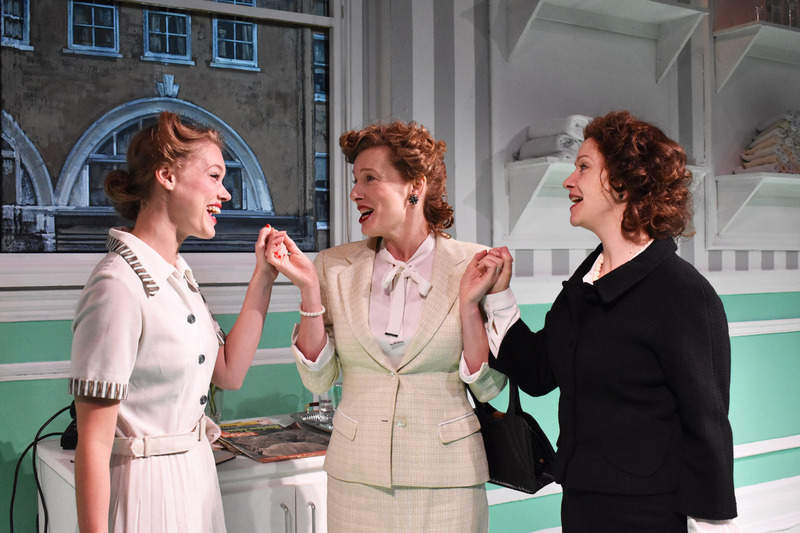 Audiences will find it difficult not to fall for these three charming, fascinating women, in a rather charming and fascinating piece. Jennifer Selway’s three-hander Treating Odette is a treat to watch. Inspired by her friend Patricia Law who worked in an exclusive Mayfair beauty salon where the clients included the actor Anna Neagle as well as Odette Churchill, the Resistance heroine portrayed by Neagle in the 1950 film Odette. The conversations that Selway imagines for the two radiate with humour and warmth in John Plews’ tender and intimate production. The pastel-hued set evokes the epitome of glamour (for those who could afford it) and the illusion of a brave new post-war world for young women. Red Gray is an absolute delight as seemingly carefree film star Anna Neagle, a jolly nice girl from West Ham made good, and at 45, considered past her ingenue prime. The inquisitive Patricia (Charlotte Peak) is every inch the immaculate modern career girl with a glamorous job in which she is treated like a favourite niece by her favourite client, even if what she really longs for is marriage and children. Jessica Boyde makes a superb, dry-witted Odette who survived unimaginably harrowing experiences (sanitised in the film so that the public wouldn’t be put off) and finds herself mortified at being treated like a celebrity. There could be something grotesque contrasting the horrors of Ravensbruck with pampering in Mayfair. But these three characters show that rituals of beauty aren’t just about overpriced face cream but can sometimes form part of a healing process, one requiring trust in other women. ANNA Neagle was one of Britain’s brightest post-war movie stars and she was at the peak of her popularity when she played courageous Anglo/French wartime agent Odette who was captured and tortured by the Gestapo. 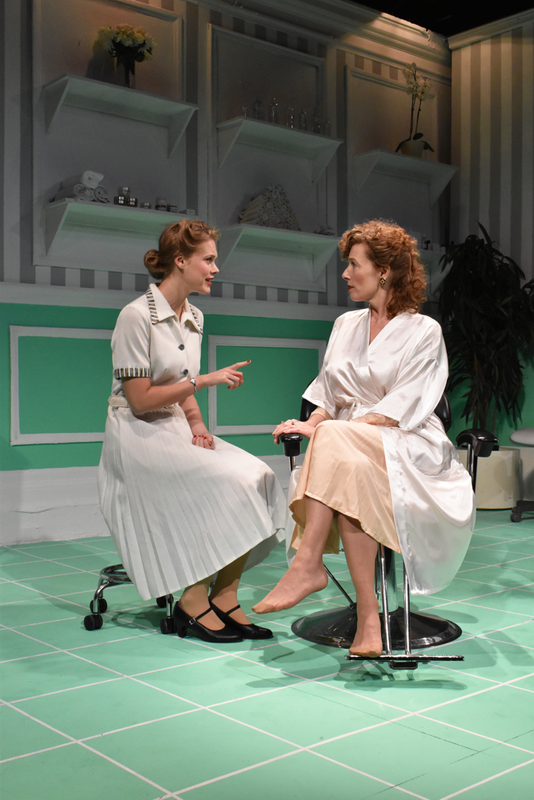 Odette’s mantra was, “I have nothing to say” and Jennifer Selway’s intriguing play takes these words and runs with them in an account of Neagle’s discussions with Odette in a Mayfair beauty salon. 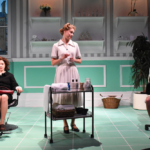 It was Neagle who introduced the agent to her favourite salon so the play is based on first-hand testimony from Odette’s beautician Patricia Law. 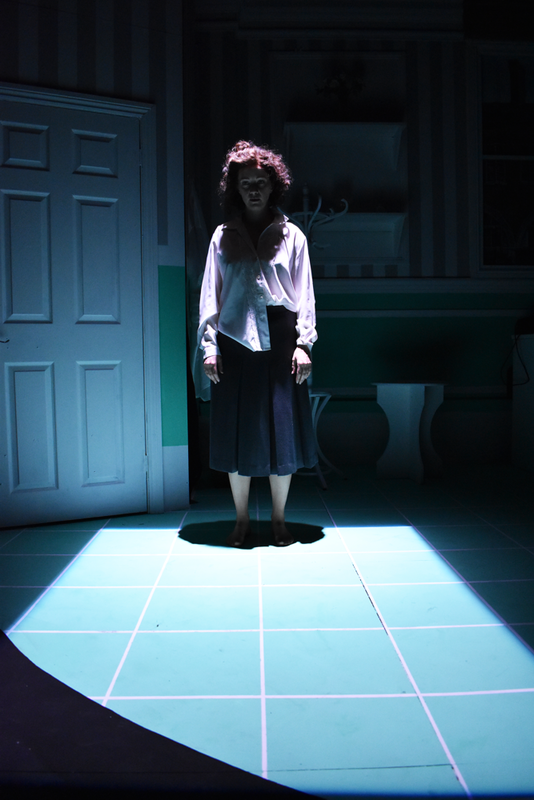 Selway delivers an episodic narrative that gradually reveals the hidden personality traits of both actress and muse. Neagle (Red Gray) was a little too old for the part and is concerned about her fading beauty whereas Odette (Jessica Boyde) worries that the film will whitewash the horrors of the war and her treatment at the hands of her interrogators including having all her toenails ripped out. On an evocative set of acid-green tiles and authentic accoutrements the women circle each other with exquisite politeness and the 1950’s speech patterns are accurately observed. Treating Odette would benefit from a slightly brisker pace at times as the drama is almost decorous to a fault. But it’s a joy to see an all-female play that relies on well-defined character conflict and not over-plotted melodrama. 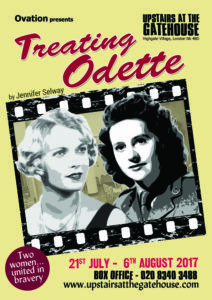 Treating Odette is based around the creation of the film Odette, a 1950 adaptation of the life of Odette Sansom, war hero and George Cross recipient. 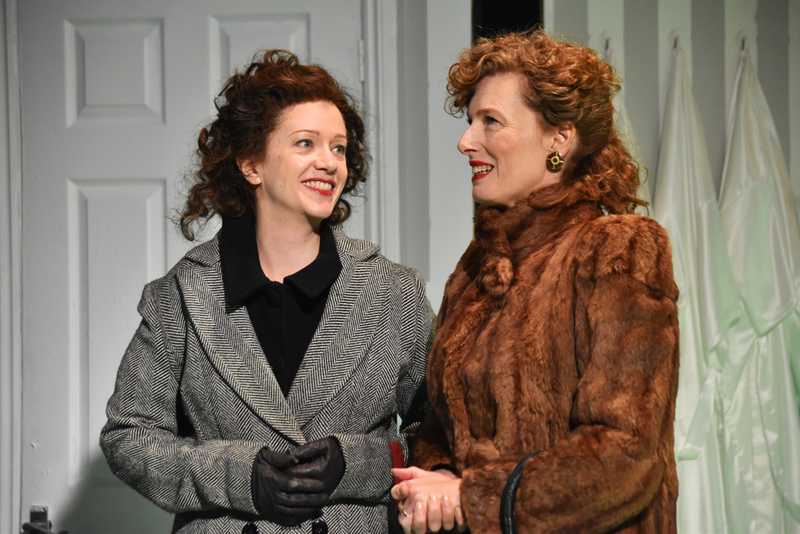 It gives an insight into the relationship between Sansom herself, played by Jessica Boyde, and actress Anna Neagle, who would portray her in the movie, through the eyes of Patricia Law, their beautician. The conversations between each of the ladies and Law (Charlotte Peak) are the basis of the play, and there is little action otherwise. Nonetheless, the slow-paced gossiping allows us to build up a background in our heads, as we are gradually given details of Odette’s torture, and the circumstances that led to her capture in France. Similarly, the lives of Neagle (Red Gray) and Law are given balanced attention, and an entire scene dedicated to Patricia’s date-ruining cold sore is strangely sweet, showing that despite the women’s different backgrounds, they are all equal. 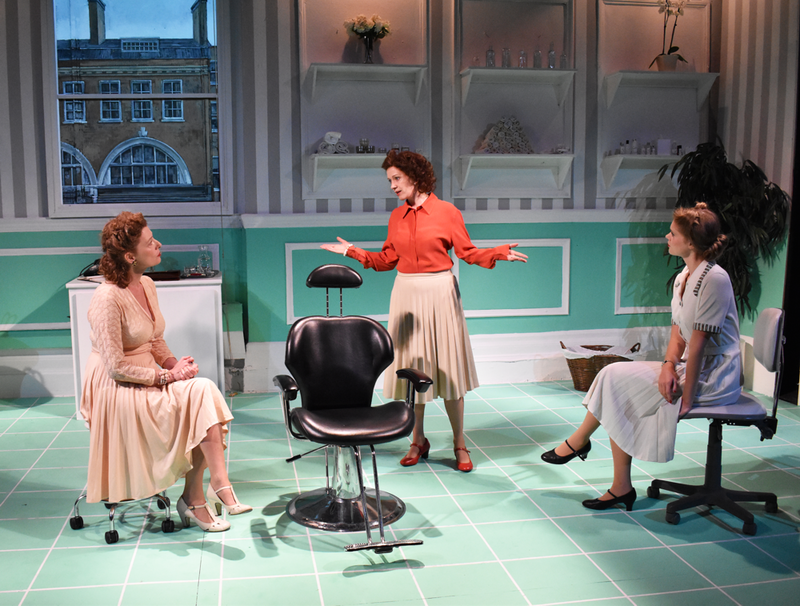 The set design is superb, truly recreating the feel of a 50s beauty salon, but it’s Peak’s performance that steals the show. She brings an innocent charm to a character who is difficult to master, by finding a balance between beautician and friend, not delving too deep, but interrogating just enough to keep the story interesting. Jennifer Selway’s script is engrossing and sweet. She cleverly creates such intense relationships with a cast of just three women, and it’s a nice change to see a solely female piece that revolves around friendly discussions and strong characters, instead of the usual over exaggeration. John Plews’s direction is simple yet powerful, with small details such as the use of a small chair becoming compelling and dynamic. 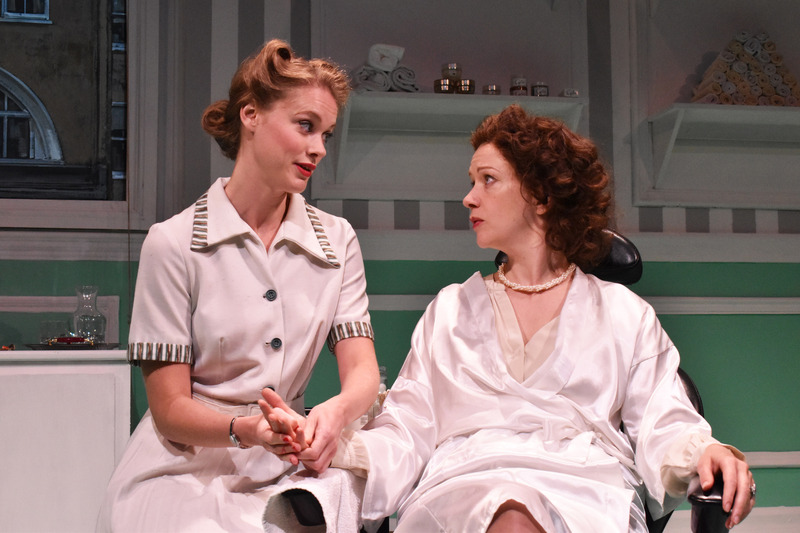 Treating Odette is a passionate play, with an interesting background, that is beautifully performed by three talented women – what more could we ask for? A couple of large glasses of wine with a friend led to Jennifer Selway writing the story of Odette – a real-life British World War II heroine, a housewife and mother smuggled into France to work with the Resistance until she was captured, tortured and sent to a concentration camp where she just about managed to survive. 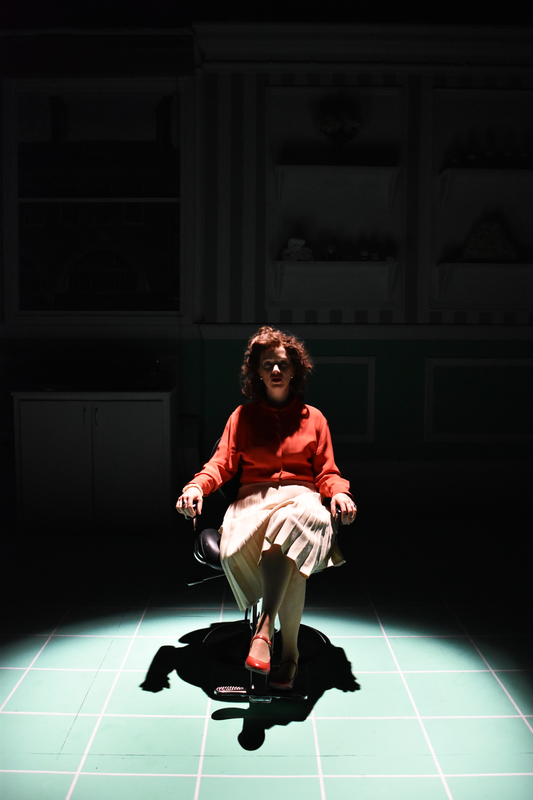 Selway should be raising a couple more large glasses to herself for Treating Odette is a beautiful, life-enhancing play. The friend Selway was chatting to was Patricia Law, now 93, but in the 1940s a beautician who worked at the Cyclax salon in South Molton Street, London. 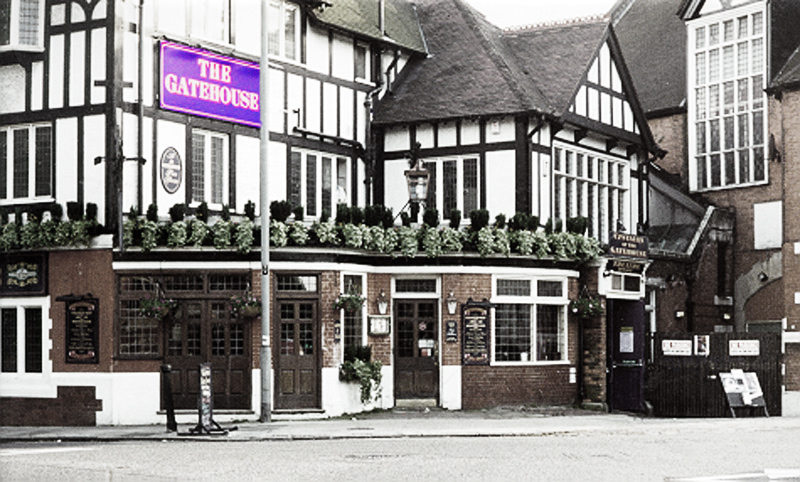 It was frequented by royalty (Princess Margaret) politicians’ wives and movie stars. One such star was Anna Neagle who, by 1949/50, was playing Odette in an Elstree film. Odette was advising on the film and Neagle paid for beauty treatments at the salon for her new friend. 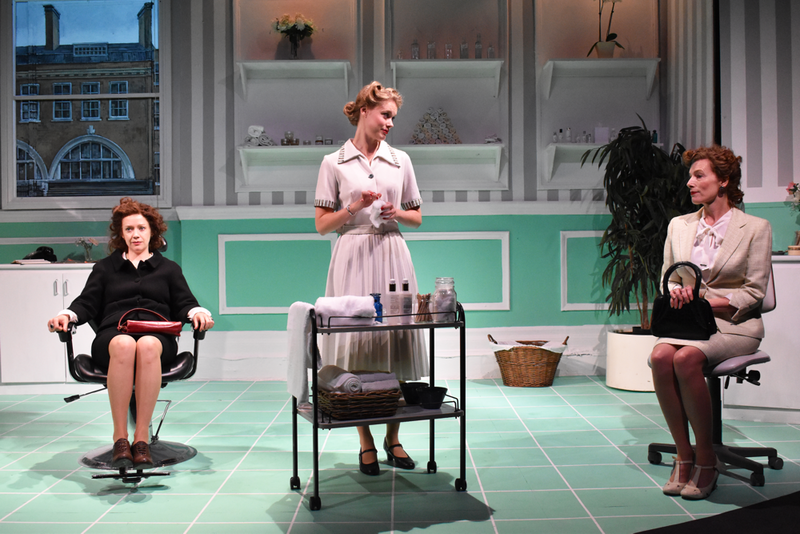 The conversations of the beauty parlour confessional, whether real or imagined, are the basis of this play. Impeccably groomed Law (Charlotte Peak) has a knack of getting her clients to reveal their innermost secrets and we learn of Odette’s bravery. 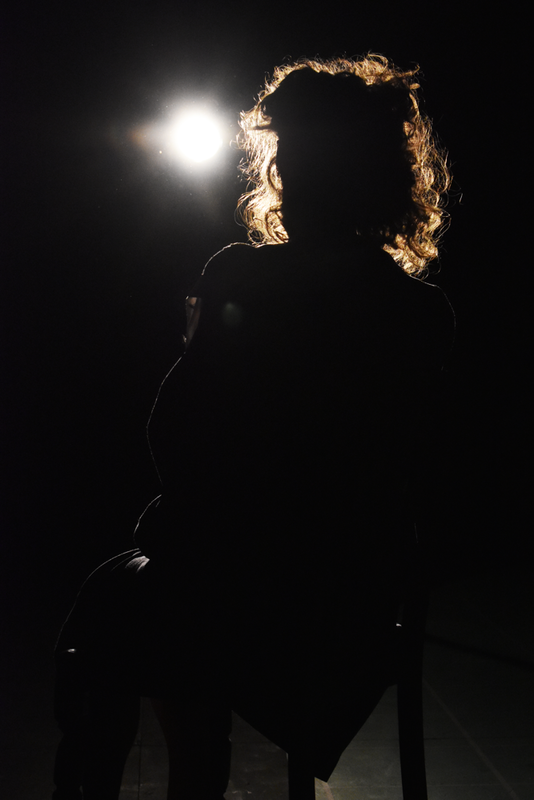 Odette, played sensitively and with great depth by Jessica Boyde, teases Law about being her interrogator. But as part of the beauty treatments Odette’s physical torture by the Gestapo becomes shockingly apparent. While the physical scars are still there Odette has coped well mentally. She insists she is no heroine and wants the film to be a tribute to all of the Special Operations Executive, especially the fallen, not just her. 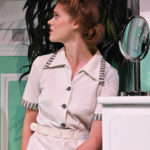 Neagle, played sparkily by Red Gray, is happy to gossip and reveal what the film stars she acts with are really like. She, like Vera Lynn, is seen as the spirit of the Blitz. But she admits her public persona is very different from that of her private one. Her relationship with her husband, director Herbert Wilcox, began as an affair, very much against the mores of the time, and she poses for pictures as a homemaker in a pinny while admitting she can’t even cook. But, as a film star, there are certain expectations of her. Law (Peak) appears to be “just” a beautician but she did her bit in the war working in the Land Army and Wrens when just a teen. 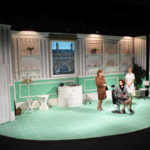 The set is a clean, glamourous beauty parlour. The women move around the chairs, whether for treatments, or in spot where we see Odette in the hell of the concentration camp. Gray acts out scenes from the film, including one in detail about Odette’s torture. But it is cut – apparently because it was thought the audience might not be able to stomach it. Odette was the first woman to win the George Cross for bravery but there were rumours she betrayed her friends under torture and only survived Ravensbruck concentration camp because she had an affair with its commandant. “I had scabies and my teeth and hair were falling out,” she ripostes. So it is likely? And are any betrayals not from her but somewhere closer to home? Costumes, hair and make-up take us back to post-war Britain and Pathe newsreels are played. Delightfully, one is of the 1950 film premiere showing the real people in the story. One difficulty I had was over the big reveal which fell a little flat. However, it detracts little from a play about bravery, friendship and women’s roles in war and peace and has much resonance in our troubled times today. French born Odette was a simple housewife and mother who was enlisted as an SOE during the second world war. She was captured by the Gestapo, horribly tortured by refusing to identify members of the Resistance, and was imprisoned in a windowless and freezing cell in Ravensbruck prison until the end of the war. She was awarded the George Cross and the Legion d’honneur for her incredible bravery. In 1950 Herbert Wilcox made a film of her life, starring his wife Anna Neagle Odette worked as an advisor on the movie and became close friends with the actress. The play begins with Neagle performing a torture scene and Odette advising her on a technical point. The author then paints the rest of her picture in the famous Cyclax Beauty Salon in Mayfair (beautifully imagined by Emily Bestow) and creates conversations between the two friends and Patricia, the young beautician who tends them both. The girl was also in the services during the war – as a land girl and then in the Wrens. Gradually, between the three of them Odette’s story is told. There are so many fascinating details. The commanding officer was Captain Peter Churchill and she adopted his name to save her life. The enemies assumed she was Churchill’s wife, related to the English Prime Minister, and therefore could be used as a bargaining tool. The whole play reflects the horrors of war and illuminates the extent of human endurance. It is an effective production by John Plews. Although she is pretty well forgotten today – she died in 1986 and her films are rarely shown in television – Anne Neagle was one of the most popular British film stars of her day and a prolific stage performer in musicals. 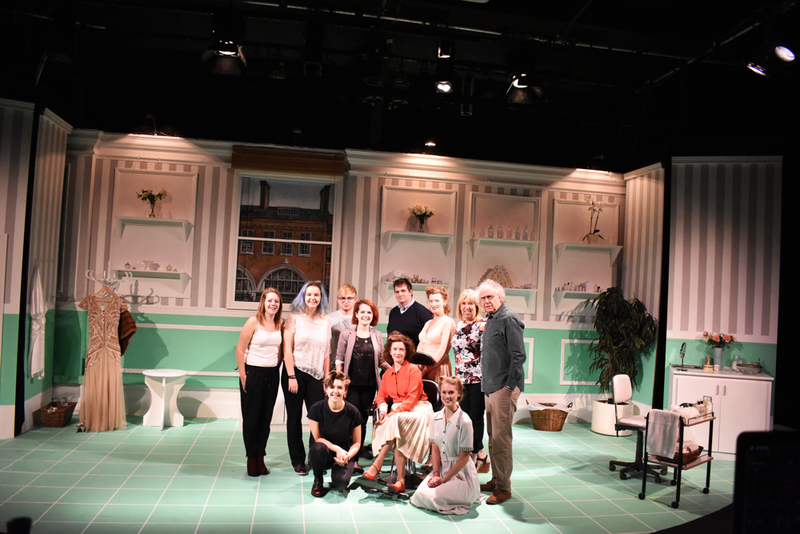 Jennifer Selway’s play was inspired by meeting Patricia Law, now 93 years old, who worked in a Mayfair beauty salon in 1949 and had Neagle, then at the height of her success, as one of her clients. Neagle was making Odette, the story of Odette Hallows, the French born British housewife who became a spy and was captured and tortured by the Nazis in Ravensbruck Concentration camp. Odette was helping with the filming as an adviser and Neagle and she became friends. She brought her along to the salon for a course of treatment. It was an odd friendship as was the relationship the pair struck up with the young beautician. It leaves one realising they both enjoyed, if that is the word, great fame, but for Neagle it was part of the job, for Odette Hallows it was something she had not asked for and did not want. Neagle gave an impressive performance in a film quite different from her previous successes, the light comedies Spring in Park Lane and Maytime in Mayfair in which she co-starred with Michael Wilding, a partnership the public adored. She was not a great actress, but her director husband Herbert Willcox with whom she worked repeatedly knew how to get the best out of her and the film, widely praised, had a royal premier attended by the King and Queen. Red Gray gives a sensitive performance as Neagle and catches to perfection the slightly clipped diction of the time as well as conveying how the actress does not quite understand the other woman’s dislike of fame or the way facts get changed in screenplays. The treatment of Odette by the Nazis is rather played down although harrowing enough because of the need not to upset audiences. 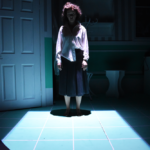 Jesica Boyde as Odette needs to speak up a little – the Gatehouse stage is vast – but she conveys the sense of a woman who is still suffering from post traumatic stress, something not really recognised then, perfectly. 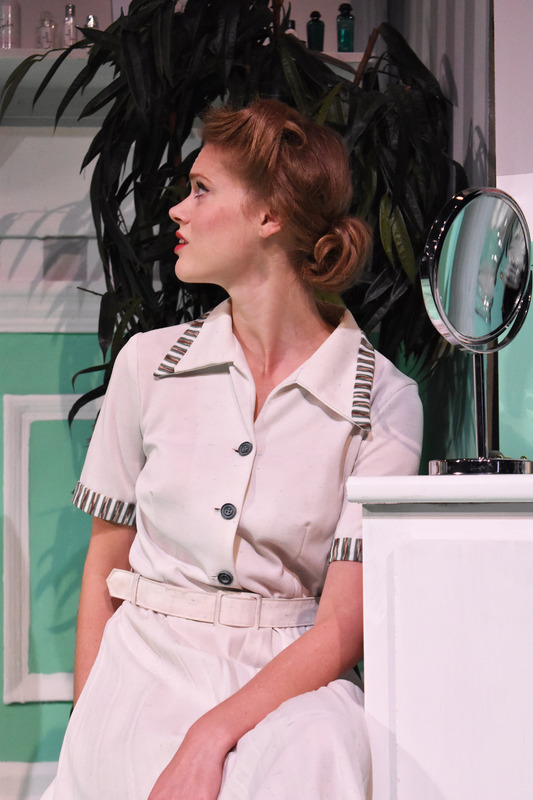 As Patricia Law, Charlotte Peak supports them beautifully creating a girl overawed by her celebrity clients for whom the right face cream was all that mattered and a cold sore spelled disaster for her date with a test pilot. Director John Plews handles what is the slightest of memoirs, although touching, well and for people who never knew Neagle – she ended up a Dame and a national treasure as great as any today – it is a revelation. In 1942, a Kensington housewife with three children sent family photographs taken on the French coast to the British military in response to a broadcast government appeal. That led to her recruitment into the Special Operations Executive (SOE) and subsequent service in occupied France, a British agent liaising with the resistance, until caught by the Gestapo, tortured and sent to a concentration camp. She was Odette Sansom (later Churchill), a French woman married to an Englishman whose patriotism and bravery were honoured with the award of the George Cross and the Légion d’honneur. In 1949, Anna Neagle, then Britain’s most famous film star, played her in the film Odette. The two women became friends and the film actress introduced the war hero to the South Moulton Street beauty salon of which she was a client. 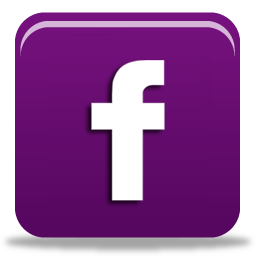 Dramatist Jennifer Selway heard about this from her friend Patricia Law who worked there. Her play tells Odette’s story through conversations in the salon and presents the friendship between these women. Treating Odette has no dramatic action but Odette’s wartime experience was traumatic. The Mayfair accents of the 1940s make its telling more poignant and a beauty salon an ironic setting to hear about her damaged feet and scarred back. The relationships between film star and war heroine and their beautician are deftly presented. Anna Neagle found playing Odette a challenge and the experience disturbing. Red Grey gives her a warm personality; this Anna Neagle has not forgotten that she started in the chorus despite her fashionable manner. Jessica Boyle’s Odette hints at the stress beneath her gentle demeanour with a slight French accent still present in her Kensington English. A little show business gossip and a glimpse into Patricia’s private life give context to the telling of the story. Charlotte Peak’s Patricia may speak with the same accent as her clients but, however friendly, the proprieties of the relationship are carefully maintained, subtly shown behind her bright façade. Older playgoers may well remember both Anna Neagle and Odette and enjoy the references to actors Peter Ustinov and Trevor Howard. For them, the interest may be in the detail but for those who don’t have such long memories, this gradual unveiling of Odette’s work in special operations and treatment after capture is a story worth hearing and John Plews’s direction keeps a careful balance between recounting that history and establishing a believable setting for its telling. View the full review at British Theatre Guide. 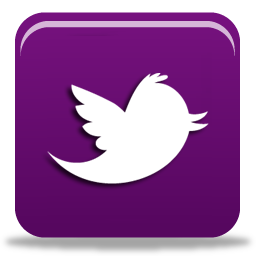 Hazel Kyte, Hazel Kyte Reviews! 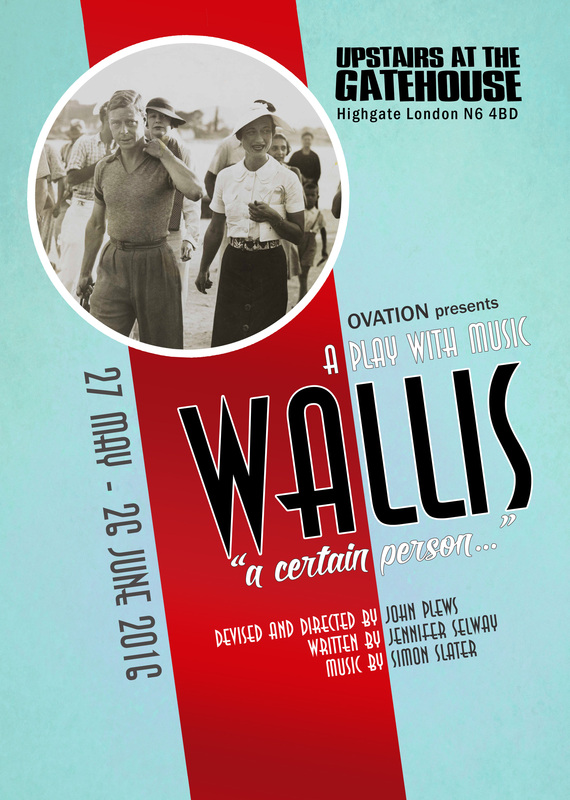 I thought this was brilliant – This Ovation production recalls when Anna Neagle – top British Film Star of the 40s and 50s, was playing Odette Churchill – the War Heroine who was awarded the George Cross. 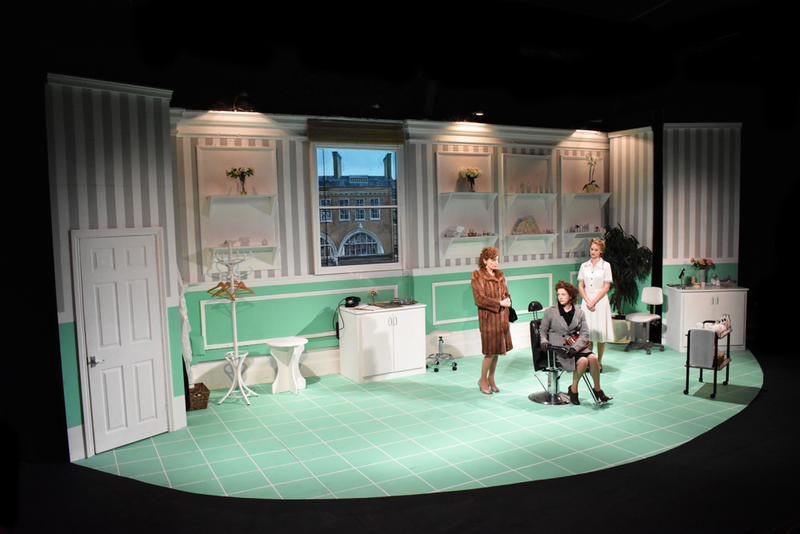 Set in the Elstree Studios and the Cyclax Beauty Salon in South Molton Street over several months in l949 – 50. John Plews has directed Jessica Boyde as Odette, Red Gray as Anna and Charlotte Peak as Patricia Law – the beautician – all superbly played – with ‘spot on’ accents. The background music was nostalgic of the period, first class set, and I loved this ‘behind the scenes’ look at the friendship and background of these women…. I highly recommend it. Deserves West End or TV follow up.